Three days Second Intra Lahore School MUN Conference concluded on April 28, 2007. Dr. Azam Chaudhry, Dean of Economics gave away the prizes and awards to Ayesha Mirza “delegate” from “Israel”, Amber Nasir Ahmad from “Pakistan”, Shahram Niazi from “France”, Meneeb Ur Rehman from “Iran”, Zohaib Khan from “USA”, Rafay Iqbal, Anam Baig and Ameera Safdar from “India” and Maira Riaz “delegate” from “China”. The Conference consisted of six sessions per committee, spanning over a period of three days. Three Committees were assigned to students. World Trade Orgaization was chaired by Wassi Ur Rehman and Sohaib Shahid. The issues discussed were: Minimum Labor Standards - How can countries tackle forced labor, child labor and sexual discrimination? Do we tend to give too much leverage to minorities, women and the chronically poor? Disarmament and International Security Committee was chaired by Omer Imitiaz and Sana Zainab Ali and the delegate from “Iran” debated about their point of view on Conflict Resolution. United Nation Development Program Commette was chaired by Aized and Zain Tanveer and the topic of discussion was “the world's water and sanitation crisis needed a Global Action Plan. The delegates from “Iran”, “Sri Lanka” and “Pakistan” raised different sanitation issues of their countries. Lahore School of Economic organized a seminar on: “The Muslim Civilization: A Dialogue” on April 23, 2007 at the Main Campus. Dr. Attiya Inayatullah conducted a detailed and very informed Questions and Answers Session that followed the presentations. Lahore School of Economics (Centre of Research) held the First International Conference on Globalization and Governance on April 21, 2007 in their Main Campus at Burki Road. Dr. Zahid Shariff from Evergreen College, Washington State, USA was the chief guest and Dr. Shahid Amjad Chaudhry, the Rector Lahore School was the chairman of the Conference. The main objective of the Conference was to highlight the problems faced by Pakistan arising from Globalization after 2005 and Devolution after Local Government Ordinance 2001. Three main sessions on Poverty, Governance, and Education were held. Dr. Salman Ahmad compared various social indicators in different towns of Lahore and showed that poverty levels were highest in Ravi Town while inequalities were highest in Nishtar Town. Net primary enrolment rate for Lahore district was only 62%. According to MDG, it should be 80% in 2003. Mr. Hassan from BZU, Multan analyzed the relationship between poverty and education. He showed a significant negative relationship between literacy and poverty. Mr. Kalim Hyder has compared seven towns of Lahore on the basis of Income Inequality measures, gender inequality, and has prepared a composite social index for ranking these towns. The results showed that Nishter Town is the least socially developed town. Dr. Qadeer from Queen’s University, Canada emphasized conflict in urbanized society of Pakistan. First, the non-material norms are lagging behind material culture. Second, Private interest overshadow public interest. Third, the living culture is in conflict with imagined culture. Dr. Riaz Hassan from Flinders University, Australia has related religion with governance in different Muslim countries. He has given results of a survey conducted in seven Muslim countries. The empirical evidence indicates that the trust placed in religious institutions and their public influence is greater in Islamic countries like Iran than in Turkey. Dr. Imran Sharif Chaudhry from BZU, Multan explained the factor affecting good governance in Pakistan depends on democracy, literacy, and peace. Dr. Muneer Ahmad assessed the impact of devolution of power on the socio-economic development in rural areas. He concludes that devolution has not led the emergence of local leadership. This is due to inefficient behaviour of the local leaders rather than insufficient funds. Dr. Rafiq Khan has calculated the environmental benefits and costs to rickshaw drivers and comes out with different ratios in different scenarios. Dr. Anis Alam discussed the importance of Universities in historical perspective and proved that Universities unite the traditional functions associated with the advancement and transmission of knowledge, research, innovation, teaching and training, continuing education and international cooperation. Dr. Mazhar analyzed the data for Lahore collected by Punjab Bureau of Statistics to explain the determinants like family size, dwelling ownership of primary education enrolment. The city of Lahore is considered to be the most developed district of Punjab. This paper is the first attempt towards analyzing the extent of social development of the towns in Lahore1. Measurement of the incidence of poverty in seven towns is the main focus of this study. In addition, it further explores the status of social development of towns by analyzing the indicators of education, health, and public health sector. Results indicate that the poverty incidence in Ravi, Gunj Baksh, Cantt Area, and Aziz Bhatti town is above the 15% threshold. Severity of poverty is the highest in Nishter and Allama Iqbal towns. Position regarding the gender inequality and public health seems reasonable whereas the indicators pertaining to education and health sector reveal some alarming facts. Dr. Muneer Ahmad This paper attempts to assess the impact of devolution of power on the social and economic development in rural areas. For this purpose a case study is presented that pertains to the rural Union Council of Bhangali. The process of governance has been scrutinized in this study. Unfortunately, the UC leadership does not seem to have a very favorable influence on the social development of this area. This is primarily owing to the inefficient behavior of the local leaders, rather than the insufficiency of funds. Hence, devolution has not led to the emergence of a proactive leadership in the local community. The work presented in this article constitutes the first phase of the plan proposed in our paper presented in the 22nd PIDE Conference 2006, recently held in Lahore. The major objective of this work is monetization of the costs and benefits (tangible as well as intangible) to sort out whether the ban on two-stroke auto-rickshaws has been economically justified. In addition, an attempt is made to develop and standardize a method for the determination and evaluation of the benefits of reducing concentrations of air pollutants. The methodology used is based on “Willingness to Pay” and “Cost of Illness” techniques. The costs and benefits are compared, and benefit to cost ratios have been calculated, under different scenarios. This study is an attempt to analyze the primary school enrollment status in the city of Lahore; and provide estimates regarding the impact of household’s quantitative characteristics on enrollment decision. Primary data is collected from 3320 households where 2520 households belonged to the urban areas and 800 households belonged to the rural areas. Computations are carried out using both OLS and Logit models. The factors contributing positively and significantly to net enrollment of children at primary school level are found to be family size, dwelling ownership, expenses on education, literacy ratio and dependency ratio. It is also established that access to school is not a very significant factor towards inhibiting school attendance. Some of the results, with respect to the contribution of family size and dependency ratio to enrollment, are contradictory to the prior determined thoughts. Briefly, it can be concluded that despite the positive effect of some of the characteristics of individuals and households on gross as well as net enrollment, there are various more strong qualitative factors across the socio-economic spectrum that have differential impacts on school enrollment. Consequently, legislative measures need to be implemented to make primary education compulsory, in order to motivate all the children of respective age to complete primary school education. In modern times it is primarily the universities that unite the traditional functions associated with the advancement and transmission of knowledge, research, innovation, teaching and training, and continuing education and international cooperation. In this paper we present a comparative analysis of poverty and income inequality prevalent in the seven towns of Lahore. Further, an analysis of the gender inequality and overall social development by considering education, health, and labor market conditions is presented. For a deeper insight, we have computed the statistics of income distribution such as poverty, Herfindahl Index, Gini Coefficient, ratio of share of income of bottom 20% to top 20% and SEN index in this study. Finally, composite index of social development is estimated and on the basis of this, index ranking of each town is outlined. Nishter Town is the least socially developed town where as Aziz Bhatti, Shalimar, and Allama Iqbal towns are less socially developed as compared to Ravi, Cantt and Gunj Buksh towns. Case study,"Comparative Assessment of Impacts of Exxon Valdez and Tasman Spirit Spillage" by Mohammad Rafiq Khan, Freed Freedy, Fawad Dhurrani and Hasan Hayat that was presented by Fawad Dhurrani has been awarded First Prize in the International TETVA 007 Competition held in Amity Business School NOIDA, UP, India on March 23, 2007. "A study for the comparative assessment of impacts of Exxon Valdez and Tasman Spirit was carried out. The study was based on secondary data collected from the literature available in different libraries, on-line journals and reports framed by different study groups. The comparison of the data with reference to the quantity of oil spilled, areas on which the spilled oils spread and socio-economic damages caused to human, animal and plant life revealed that though the areas affected and the quantity of the crude oil spilled by the Valdez incident was larger, the incident of Tasman Spirit was more disastrous. It directly involved human lives in very large number. The impact of Tasman incident on employment and marine life were also greater as compared to the Valdez incident." Lahore School of Economics (Centre of Research) is holding the First International Conference on Globalization and Governance at the Main Campus at Burki Road on on April 21, 2007 at 10.00 am. Dr. Zahid Shariff from Evergreen College, Washington State, USA was will be the chief guest and Dr. Shahid Amjad Chaudhry, the Rector, Lahore School will chair the Conference. The main objective of the conference is to highlight the problems faced by Pakistan arising from globalization after 2005 and devolution after Local Government Ordinance 2001. Three sessions on Poverty, Governance, and Education will be held. Lahore School of Economics (Centre for Research) is holding an International Conference on Globalization and Governance on April 21, 2007 at the Main Campus. Dr. Zahid Shariff will be the Chief Guest and Dr. Shahid Amjad Chaudhry, the Rector Lahore School will chair the Conference. Mohammad A Qadeer: Urbanization, Globalization and initiatives and lags in Pakistan. Inayatullah: The changes in the Degree qualification of University teachers in Pakistan. Yasmin Fasih, the Head of Human Resources, Maersk Pakistan Ltd. Visited Lahore School of Economics on April 14, 2007 and conducted an introductory session with the graduating students from MBA / MSc Economics classes and gave a presentation. The session was followed by an on campus test for their "Maersk International Shipping Education Program 2007". Language is a powerful tool in representing and structuring the world. This was displayed clearly and creatively by Lahore School students of Language, Gender and Power course during their research presentations and poster display at the City Campus on April 12, 2007. Young scholars had self published books on the subject that were also on display along with colorful posters. Professor Zahid Shariff was a guest speaker at the Lahore School of Economics City Campus on April 12, 2007 and gave a presentation on Clash of Cultures. The lecture was followed by question answers session. The Second Intra Lahore School MUN Conference will be held on April 26-28, 2007. The Conference will consist of six committee sessions per committee, spanning over a period of three days. To aid prospective delegates in choosing which committee to attend at the Conference, the Organizing Committee is announcing the topics for each committee. A comprehensive study guide for each committee and its respective topics will be emailed to students who register as delegates. 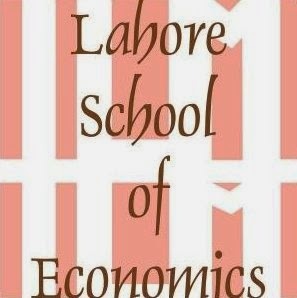 The Lahore School of Economics is holding its Third Annual Conference on Management of Pakistan Economy on May 2-3, 2007. The subject for this year’s conference is: Second Generation Economic Reforms for Sustaining Growth and Equitable Development. The Second Intra Lahore School MUN Conference will be held in the last week of April 2007. The Conference will consist of six committee sessions per committee, spanning over a period of three days. 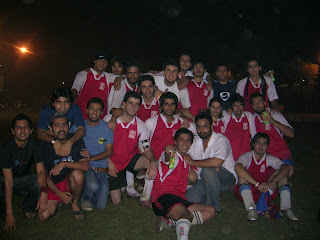 Out of the eight university teams (Lahore School of Economics, GCU, FC, LUMS, FAST, UMT, UCL and NCA) from Lahore, the Lahore School of Economics Soccer Team scored second position in the Soccer Championship at the LUMS Sports Gala held from March 19, 2007 till March 30, 2007. The Lahore School started its campaign against NCA with a 1-1 draw. In its next match, Lahore School defeated UCL by 6-1. The final group match was a closely fought (0-0) draw with GCU. The Lahore School continued its form in the semi-final against the host LUMS. At full time, the thriller was stalled at 4 goals each. Both teams went all out in the extra time but the score line stood un-altered. The result came down to the first and the only penalty shoot out of the tournament. Lahore School’s team, clad in red and white, downed LUMS by 5-4 in the shootout to book themselves a slot in the finals against GCU. Goal Keepers: Hassan Rehman and Usama Sher. Defenders: Nabeel Ahmad, Nasar Ahmad, Amjad Moin, Mohtishim Javed, Umar Khan & Umar Azam. Mid Fielders: Talal Shakeel, Shahaam Saeed, Ali Shaikh, Obaid Imtiaz & Hasnain. Strikers: Saad Khan, Bilal Mirza, Usama Leghari & Mobeen Saeed.